Welcome to the last chapter! The last two weeks I spent with my third and final host family. The end is nigh. But yet again, the change was a completely different experience. My new hosts, the Moriya family, are actually the biggest family ever! And they all live right next to each other. I had about three acting host mothers who were all as lovely as the next; not to mention 2 sisters and 2 brothers - one of whom was 18 and actually felt like my brother. However, due to my inability to pronounce Japanese correctly I could never say his name (Ryoto) correctly. This was rather embarrassing, but he seemed happy being called "BBQ boy" due to his part-time job. Ruka was a bit younger and very funny. 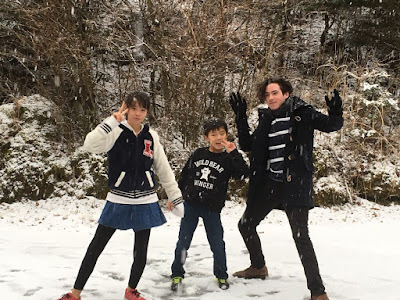 Finally, Nono and Yuki, who are in elementary school, were so much fun. 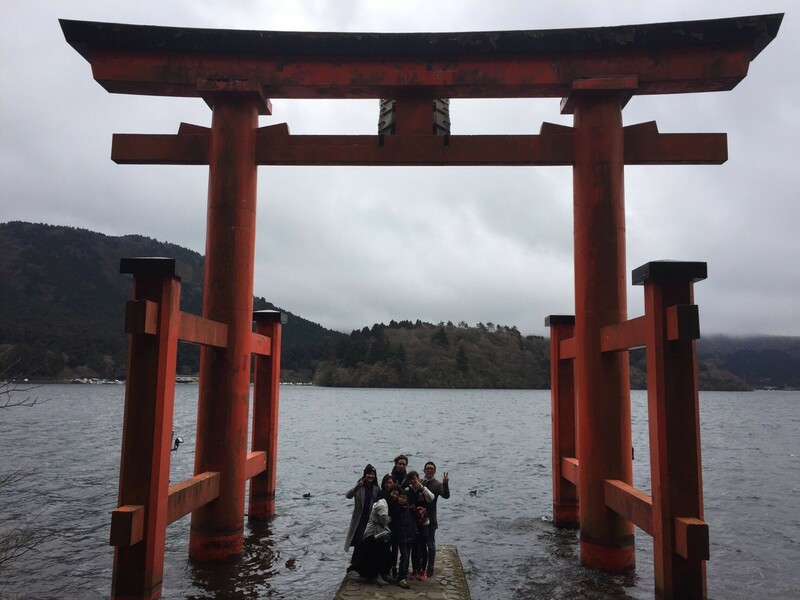 The Moriyas took me to so many lovely places, even going as far as taking me to Kyoto! 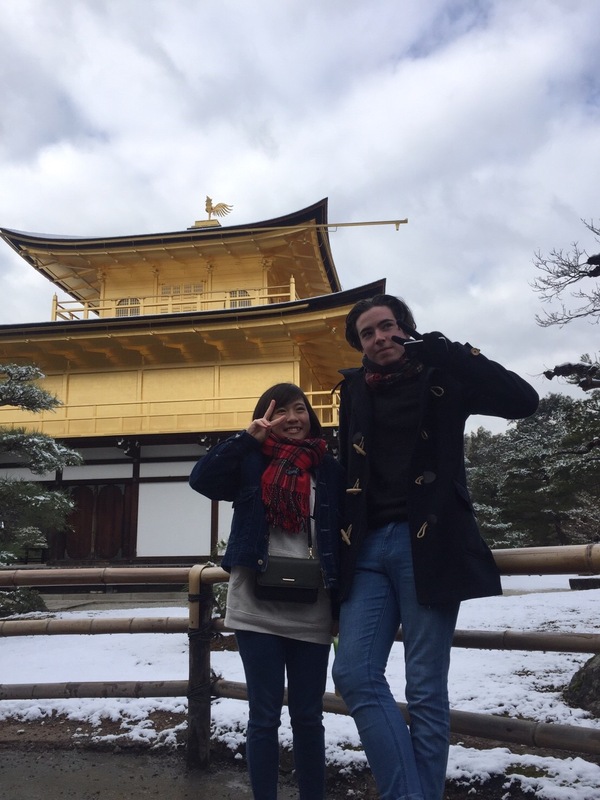 It's a long way away from Susono, so I am forever thankful because Kyoto was incredibly beautiful. Everywhere you turn there's something to see and do and there's always a tourist or two around every corner, so I fitted right in. 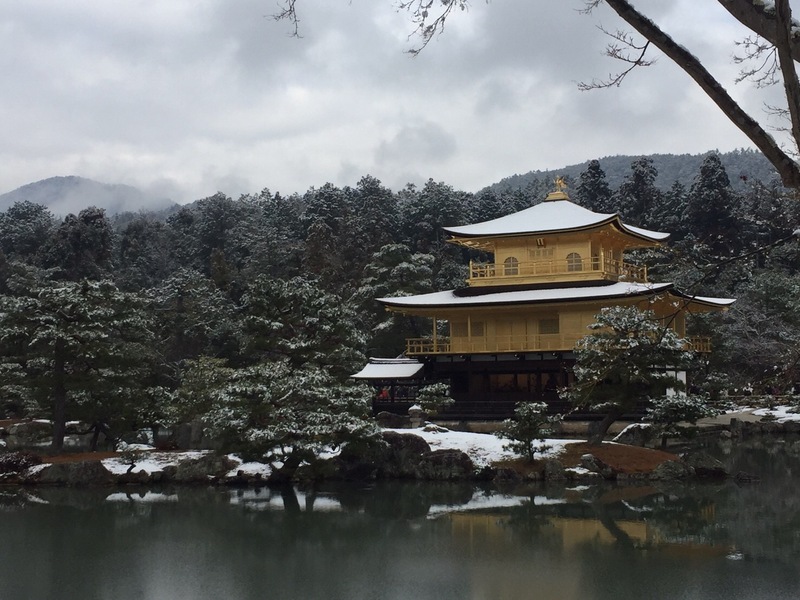 Upon arrival to Kyoto, by some small degree of chance it happened to be the first day of snow for Kyoto. I was there to see it - what are the odds? Kyoto is full of amazing traditional Japanese architecture. You can really see the history and just why it was the capital city for so long. But I think out of all the temples and castles that were too beautiful to describe, the highlight was definitely lunch. Lunch was a traditional ramen soup with a twist. 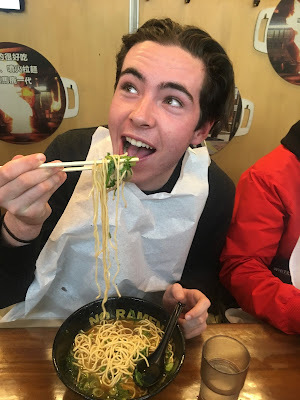 This was no ordinary ramen, this was fire ramen! Basically, everyone sat along a big bar that looks into the kitchen. After everyone was presented with a large bowl of ramen, the chef revealed a big pot of what I assume was burning oil. Much to my surprise, one by one he poured the oil into the ramen, sending flames sky high. A true spectacle! It was delicious as well. 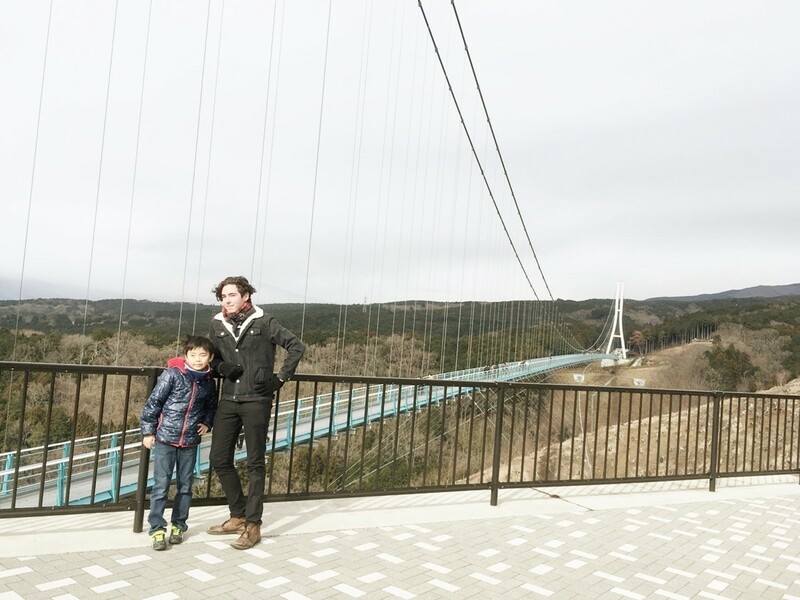 Every weekend is an adventure in Japan, and my time with the Moriya family was no exception. 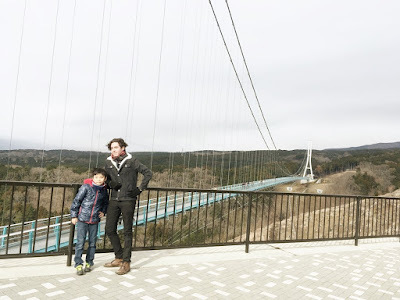 Hakone, the skywalk, takoyaki parties at home, soccer in the park and the time we drove up near Mt. Fuji and played in the snow. It seems every family I stay with is so much fun. In between my adventures with my host family I also found the time to meet up with some my mum's friends from her time as an exchange student. Eiko Sato (née Sugiyama) was a previous exchange student to Australia and actually stayed with Mum's family. Namia Kominami (née Katsumata) was Mum's friend while she was in Japan on exchange. Of course the two weeks flew by while I was having fun and it was soon time to say goodbye, which I hate. I hate goodbyes and I hate it even more when I have to say goodbye to Japan! It has become my home and the people who hosted me have become my family. It'd almost be easier for me to just say, "see ya 'round," and walk away. Goodbyes are always too dramatic and long-term, I hate them! Alas when the time came, it was unavoidable. But don't worry Japan, I'll be back! So, until next time, I'll see ya 'round. P.S. Kyudo is still impossible - I almost hit a target! 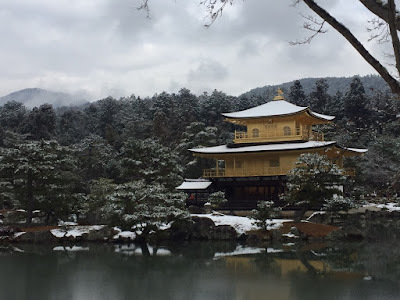 Kinkaku-ji with a dusting of snow - the first day for the season! 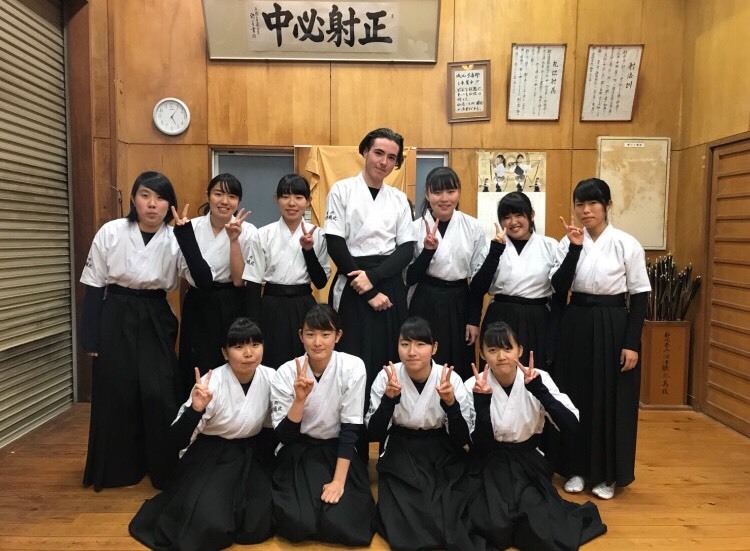 William with the kyudo girls - all the boys hurried home! Bonus Report: "An Adventure in Review"
I'm back home now and it feels like I never left, although it's hard to forget the last two months. Looking back, I wish I had more time - but for what its worth, I don't think I'd change a single thing about my trip. Everything I did, everything I saw, everyone I met, made my trip into the adventure it was. I can walk away from it with the best of memories and know that it won't be long before I run straight back! I'm so grateful for the once in a lifetime opportunity. FSFA and SOFA really gave me an experience I'll never forget. I'll have to go back, there's so much more to see! In two months I barely scratched the surface: every prefecture, every town, every household and family, every person, every part of Japan seems to have something to offer. 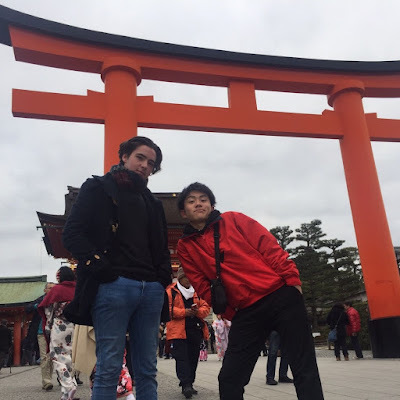 So I'll be back, and I'll see everyone who made Japan special for me again. Aiko, the Egawas, and the Moriyas, as well as all the friends I met along the way. I look forward to seeing you all again someday, but until then, I'll see ya 'round.